The Ventura Bike-Pack System, our first product, was developed in the 1970s. 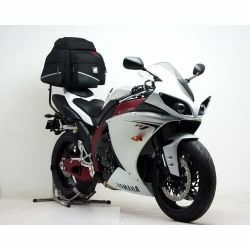 Born of a desire to offer motorcyclists a truly versatile luggage system, custom-made for each machine. Ventura Luggage There is 1 product. The Ventura Luggage System allows you to put Luggage on most bikes.